Air Marshal PN Pradhan today took over as Deputy Chief of Integrated Defence Staff (Operations), a key platform to ensure a high degree of synergy between the armed forces. Pradhan has held several key positions including Assistant Chief of Air Staff (Transport and Helicopters) at Air Headquarters and Senior Air Staff Officer at the Southern Air Command. 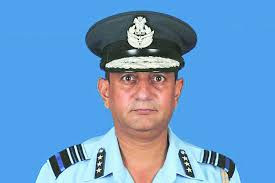 He was closely associated with the induction and operationalisation of Embraer-135 and C-130 fleets in the IAF. For his distinguished service, Pradhan was awarded Ati Vishisht Seva Medal in 2014. Integrated Defence Staff was created in 2001 based on the recommendations of a Group of Ministers which were set up after the Kargil war to review India's defence management. 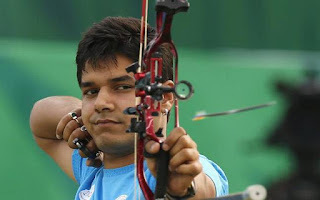 The Indian men’s compound team struck gold on the penultimate day of the archery World Cup stage 1 championship in Shanghai, China on Saturday. The women’s team, however, did not finish on the podium. India were represented by Abhishek Verma, Chinna Raju Srither and Amanjeet Singh. India beat Colombia 226-221 for the gold. In the semifinal, India got the better of the United States 232-230 while India edge out Iran by an identical margin the quarterfinals. India beat Vietnam in the first round. The Colombian team comprised Camilo Andres Cardona, Jose Carlos Ospina and Daniel Munoz. The Indians grabbed a slender lead in the opening set by clinching it 58-57 and built on it in the next three to emerge triumphant. The Colombians did manage to tie the 3rd set 52-52. In the women’s competition, Korea, Denmark and Russia finished in that order. Out of more than 40 million votes cast, he received 57%, defeating his main rival, a conservative cleric. 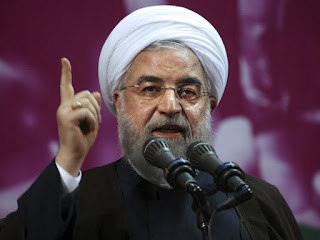 Mr Rouhani, a moderate who agreed a deal with world powers to limit Iran's nuclear programme, pledged to "remain true" to his promises. The decisive victory gives him a strong mandate to seek reforms and revive Iran's ailing economy, analysts say. The president received close to 23 million votes, Interior Minister Abdul Reza Rahmani Fazli said on state television, in an election that had an unexpectedly high turnout of about 70%. An Indian boy has won the world's largest pre-college science competition in the US in the environmental engineering category for his project on biodegradation of pesticides. 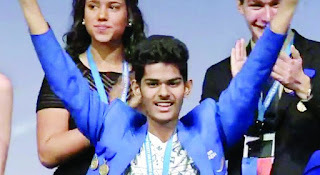 Prashant Ranganathan, a 12th grader from Jamshedpur, alongwith over 20 high school students from various parts of India, participated in the Intel International Science and Engineering Fair. Four Indian-Americans received top awards in various categories. In all, more than 1700 students from across the world participated in the week-long event which concluded here yesterday. Student of Carmel Junior College in Jamshedpur, Prashant's project 'Biodegradation of Chlorpyrifos using native bacteria' said that farmers should not use pesticides. Prashant who bagged the coveted award for his innovation for fighting against pesticide and getting rid of its side effects through biodegradable use.